Lake and Mountain View in Dandridge - Mobile Homes OK! This is a great lot for your new dream home or private getaway. City water is at the road and there is a septic system already installed. 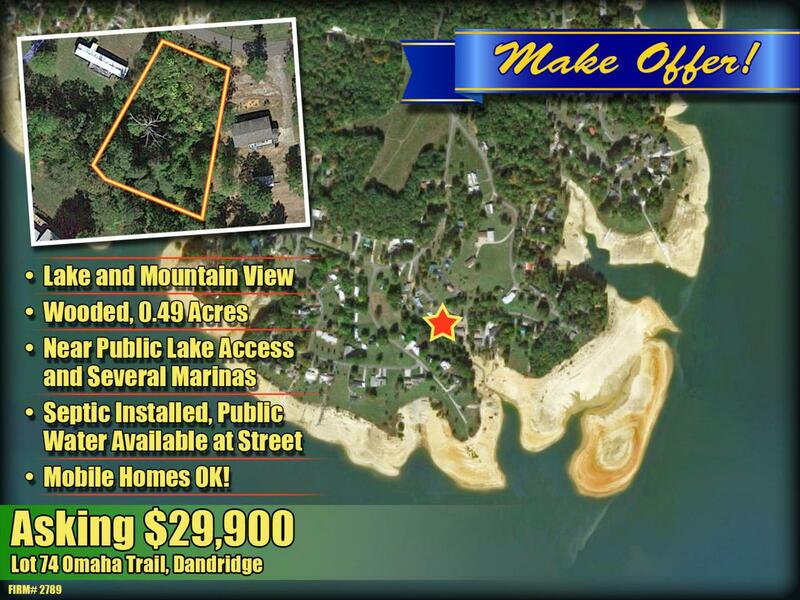 The location is convenient to several lake access areas and marinas. The rural location is peaceful, and Douglas Lake is only a stone's throw away. If you love fishing against a mountain backdrop then this lot is for you!